LED’s are changing and transforming lights as well as saving money, which is all well and good but what if you want the LED’s to be dimmable? You’ll be pleased to know that LED’s can be dimmable! However this isn’t necessarily easy… All bulbs are on circuits and dimmable bulbs have to be on circuits that are compatible with their design in order for their brightness to vary. There are mainly two types of LED’s available on the market; dimmable and non-dimmable. If you are switching from incandescent to LED’s therewill be a few things that you need to look out for. 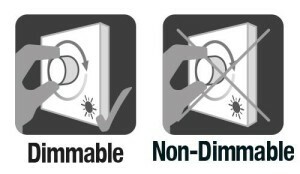 In order to be dimmable, all bulbs will be attached to a driver which will help them to dim steadily and effectively. However, these drivers cannot be used in conjunction with LED’s because their circuitry is not co mpatible. Traditional dimmers reduce the voltage used by the fixture to then reduce the amount of light that it emitted, but this wouldn’t work with LED’s because they would still give off the same amount of light even if the voltage is reduced. 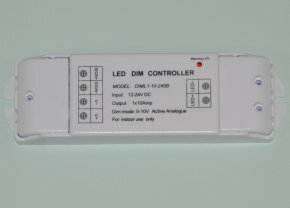 It can be possible to use a dimmable LED in a non-dimmable circuit although this would defeat the purpose, but should the wrong bulbs have been bought etc, the bulb wouldn’t need to have a compatible driver to dim so would be shining like normal. A non-dimmable bulb definitely can’t be put in a dimmable circuit though because it could cause damage to the bulb and/or the circuit. What can happen to the bulb/circuit if they are incompatible? There can be a variety of effects that can happen if the incorrect bulb is put into the incorrect circuit. The worst being that the bulb doesn’t turn on because the circuit can’t function and therefore prevents the bulb from emitting any light. Other effects can be that the bulb doesn’t dim but only works at 100% brightness, which isn’t ideal if you are wanting to great a mood or atmosphere with the lighting. Another situation is the bulb works (yay!) but hums which isn’t what lighting was created to do! Bulbs making noise is never a good sign, and points to the bulb becoming damaged. 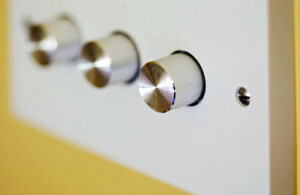 Finally, a very common problem is that the bulb flickers, either all the time or at certain dimmer levels. This is also very damaging to the bulb and likely to the circuit as well. Electricians are needed to change dimmer switches, but once this change has happened you’ll be good to go! Lighting can be a practical and beautiful way to light your home but also create great atmospheres throughout. Dimmable lights are especially good at this because visual appearances can be altered and moods can be changed. Dimmable LED’s are even better because they save energy as well as still being able to change everything else! So don’t be put off by the confusion of dimmable LED’s and non-dimmable LED’s, upgrade and convert both your bulbs and dimmers and start saving money! Hopefully this article has illuminated what you need to look out for with dimmable LED’s and what could need to be changed in order for everything to work as it should. If you have any further questions or want to talk drivers, please get in touch and we will help you as best we can. Previous PostConverting to LED’sNext PostHow do LED’s actually work?